Aquatic organisms might be exposed episodically or continuously to chemicals for long-term periods throughout their life span. Pesticides are one example of widely used chemicals and thus represent a potential hazard to aquatic organisms. In addition, these chemicals may be present simultaneously in the environment or as pulses, being difficult to predict accurately how their joint effects will take place. Therefore, the aim of the present study was to investigate how Daphnia magna (clone k6) exposed throughout generations to a model pesticide (the fungicide carbendazim) would react upon an exposure to another chemical compound (triclosan) and to a mixture of both chemicals (carbendazim and triclosan). Responses of daphnids continuously exposed to carbendazim and kept in clean medium will be compared using immobilization tests and the comet assay (DNA integrity). The results showed that triclosan presented similar toxicity to daphnids exposed for 12 generations (F12) to carbendazim (similar 48-h-LC50 values for immobilization data), when compared with daphnids kept in clean medium. However, at subcellular level, daphnids previously exposed to carbendazim for 12 generations (F12) showed different responses than those from clean medium, presenting a higher toxicity; a general higher percentage of DNA damage was observed, after exposure to a range of concentrations of triclosan and to the binary combination of triclosan + carbendazim. The patterns of toxicity observed for the binary mixture triclosan + carbendazim were generally similar for daphnids in clean medium and daphnids exposed to carbendazim, with a dose level deviation with antagonism observed at low doses of the chemical mixture for the immobilization data and a dose ratio deviation with synergism mainly caused by triclosan for DNA damage. 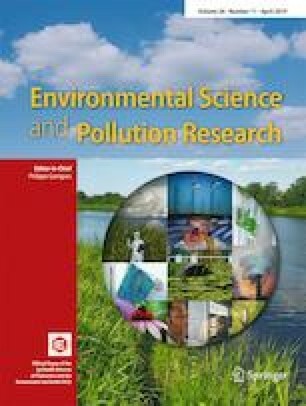 With this study, we contributed to the knowledge on long-term induced effects of carbendazim exposure, while looking at the organismal sensitivity to another chemical (triclosan) and to a mixture of carbendazim and triclosan using lethality as an endpoint at the individual level and DNA damage as a subcellular endpoint. The online version of this article ( https://doi.org/10.1007/s11356-019-05040-1) contains supplementary material, which is available to authorized users. This work was supported by the project RePulse-Responses of Daphnia magna exposed to chemical pulses and mixtures throughout generations (FCOMP-01-0124-FEDER-019321; Refª. FCT PTDC/AAC-AMB/117178/2010), by funding FEDER through COMPETE- Programa Operacional Factores de Competitividade, and by the Portuguese Science Foundation (FCT) through CESAM: UID/AMB/50017/2013. Ana Rita R. Silva was funded by the project “MARPRO—Conservation of marine protected species in Mainland Portugal” through the doctoral fellowship (BD/UI88/5534/2011); Diogo Cardoso was funded by the doctoral grant (PD/BD/52569/2014), and Andreia Cruz was funded by an individual post-doctoral grant (BPD/UI88/2886/2013), within the project “Sustainable Use of Marine Resources”—MARES (CENTRO-07-ST24-FEDER-002033), financed by QREN, Mais Centro-Programa Operacional Regional do Centro e União Europeia/Fundo Europeu de Desenvolvimento Regional. Thanks are also due for the financial support to CESAM (UID/AMB/50017/2019), to FCT/MCTES through national funds.